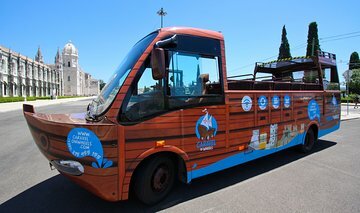 Take a sightseeing tour through Lisbon to make the most of your port time. Drive through the tight winding streets of Alfama, Mouraria, Chiado, and Belem and watch history come alive with a multimedia experience provided by the onboard tablets. Soak up the sun and the history of this vibrant city in just two short hours aboard a 29-seat bus.